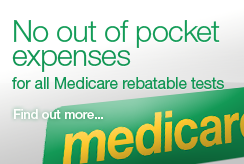 Patients are asked to bring their Medicare card for bulk billing and a pathology request form signed by your doctor. 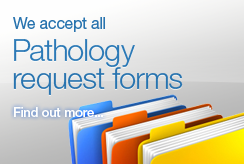 If the pathology request form your doctor has given you is NOT a Pathology South form, Pathology South staff can still perform the collection for you. Only your doctor can interpret pathology test results in the context of your individual clinical situation and the known limitations of the tests they have requested. Your doctors advice supersedes any information provided on this site. If you would like a copy of your results, please ask your doctor. The pathology test your doctor has ordered is important. To understand why it has been requested, what is being tested and what the results will tell the doctor, please visit Labtests Online. Lab Tests Online is a free, non commercial web site that has been developed by pathologists and scientists working in diagnostic laboratories. Information is accurate, independent and reviewed by a scientific editorial board. Please note that Lab Tests Online provides general information only. You should always talk to your doctor about your test results.